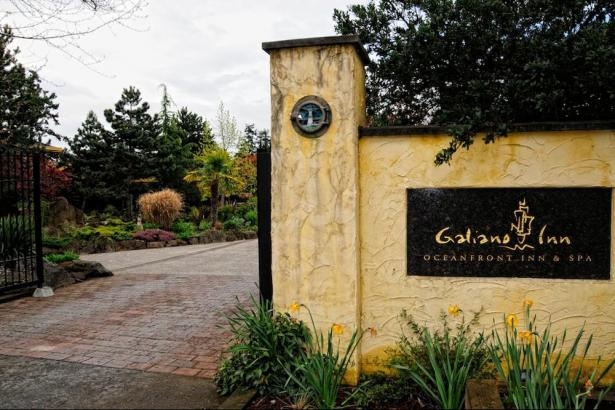 When Christopher Reeve wanted a special weekend with his beloved, Dana, he took her to The Galiano Oceanfront Inn and Spa, which, he said in his biography "... is the most romantic place on earth." 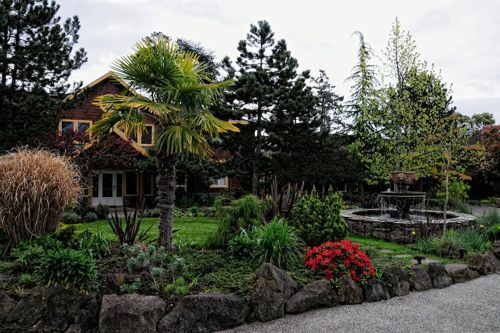 When a Vancouver man wanted to propose to his girlfriend, he called the Inn and explained that he was coming to the Inn for that purpose and asked for help, owner Conny Nordin said. As the two dined in the restaurant, staff prepared a rose strewn path to the bed and lit candles so that when the man proposed, after a gourmet meal, there was little option but for his sweetheart to say yes. 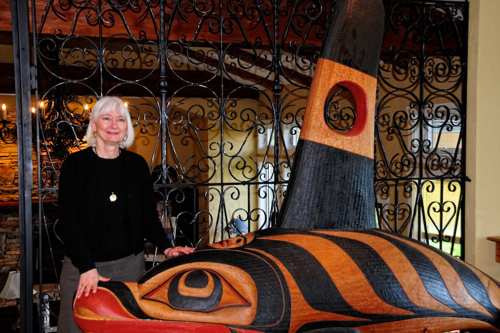 Nordin left Vancouver, where she worked as executive director of the BC Liquor Board and bought Galiano Inn six years ago with her husband, Mel Gibb, who was in the manufacturing business. 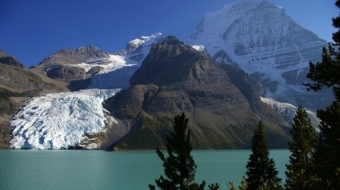 They renovated the lodge and carefully designed every aspect of it. 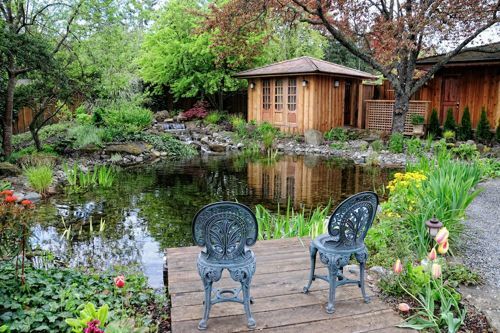 And when Biff Naked, a raw foodie, recently came to Galiano to look at the land the Looking Glass Foundation purchased to make a retreat for young women suffering from eating disorders, she had lunch at the Galiano Inn and the chefs prepared her raw food. 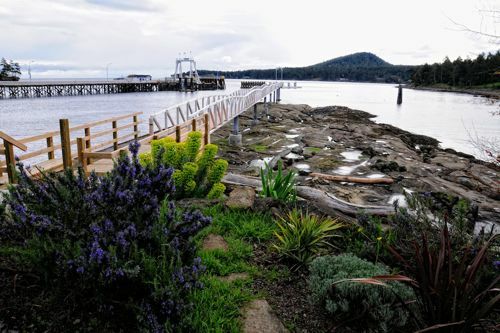 So, welcome to the Galiano Inn, only a short walk from the ferry dock. 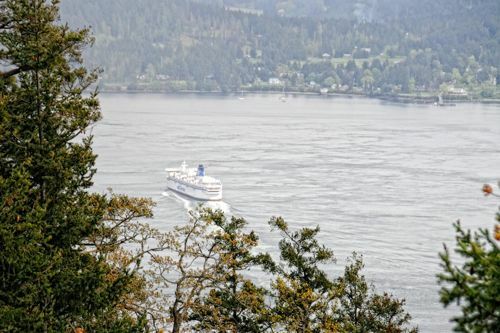 The Inn offers packages that include Smart car rentals for Vancouverites who want to explore the island after taking advantage of the easy Canada Line bus connection to Tswwassen and walk on the ferry. 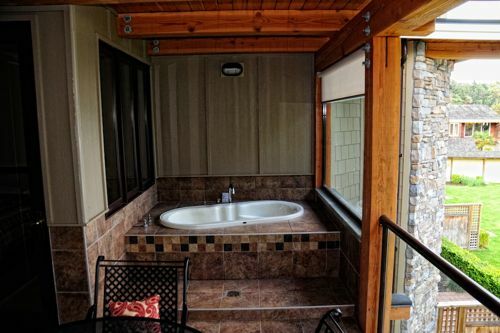 Follow me to one of the Galiano Inn's twenty rooms, where a jacuzzi bathtub sits on a balcony overlooking the ocean. 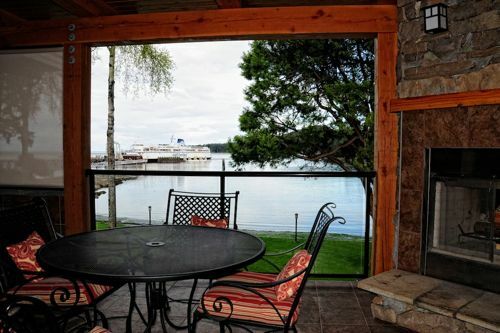 An opaque shade offers privacy on a window overlooking seaweed strewn rocks and a pier where the ferry docked, sounding its horn to signal a continuation of its journey through the Gulf Islands, on to Mayne Island, then to Salt Spring and beyond. A round metal table with four comfortable chairs stands to its side in front of a fireplace set with wood and kindling. Next to the fireplace, a luxurious propane grill indicates large meals not only can, but should be prepared in this outdoor kitchen/bath/living area. A day here is like a week anywhere else, guests are often heard to comment. "You feel like you've been away a week and you've only been away a night." "As soon as you get on a boat and you're headed for an island, everything falls off on the boat because you're not able to turn around and get the things you left behind and you find out they're not important. A lot of what you leave behind is stress and troubles," Nordin said. I turned on the bath water and sitting down on the tiled platform, watched it fill, reading the directions to the jacuzzi that invited me to enjoy it thoroughly but not to use it after 10 pm. 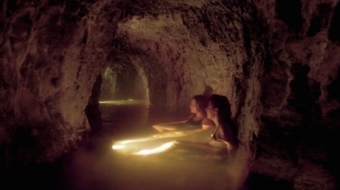 As the hot water poured into the two person tub, I considered the short distance it took to travel from my jam-packed life in Vancouver to a Gulf Island. 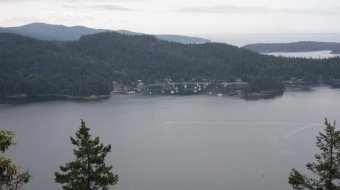 Under a nickle-coloured sky, I'd journeyed away from the city that morning and tension immediately began to fall away in the wake of the BC Ferry that left from Tsawwassen to arrive an hour later at Galiano. The process continued as I walked up the hill to the bakery for my first delicious cup of Galliano nettle tea and explored the local art gallery.